Ultra-Ever Dry is a product made by Ultratech International. The 'omniphobic' coating material is designed to repel water, oil, and even dirt. It is similar to coatings used to make cellphones water resistant or preventing shoes from getting dirty. This video is from Nissan Europe that coated half a Nissan Note with Ultra-Ever Dry before putting it to the test through a dirt-filled course. As you can see in the video below, the product performed as advertised. 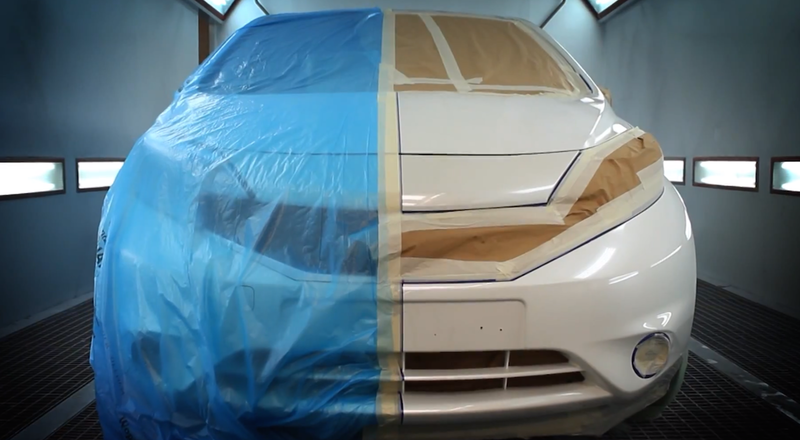 This paint coating technology is still in the testing phase. I'm sure car companies like Nissan will want to put the coating through more rigorous testing, weigh the cost dynamics, and see the long term effects before actually offering it to customers. That sneaky tru-coat recommended by some Mr. Lundegaard-like car salesman may actually be worth it at some point :-).